Offering an infinite range of adjustability in an ultra-lightweight package, the Factory Series Float® 3 Evol R air shock is the perfect ultra-lightweight and hassle-free suspension choice for your sport or recreational ATV. 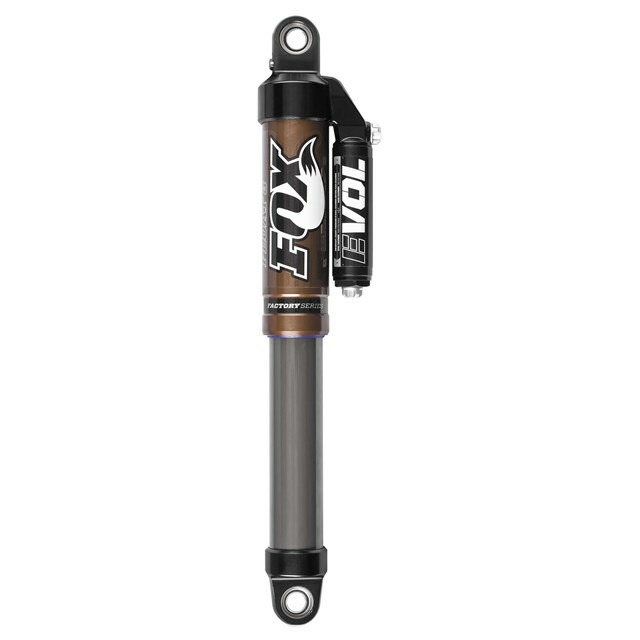 The Float 3 Evol R is application specifically valved, and its infinitely adjustable dual rate air spring and externally adjustable rebound allows the rider to quickly and easily tune for any terrain condition or personal preference. Inside its hard-anodized 6061-T6 aluminum body, the Internal Floating Piston (IFP) separates the high-pressure nitrogen gas from the damping oil to ensure optimum, fade-free performance. Replacing your stock shocks with a set of Float 3 Evol R shocks on your ATV not only dramatically increases its ride performance but also leaves about 6 lbs. in the garage. Lighter is faster.